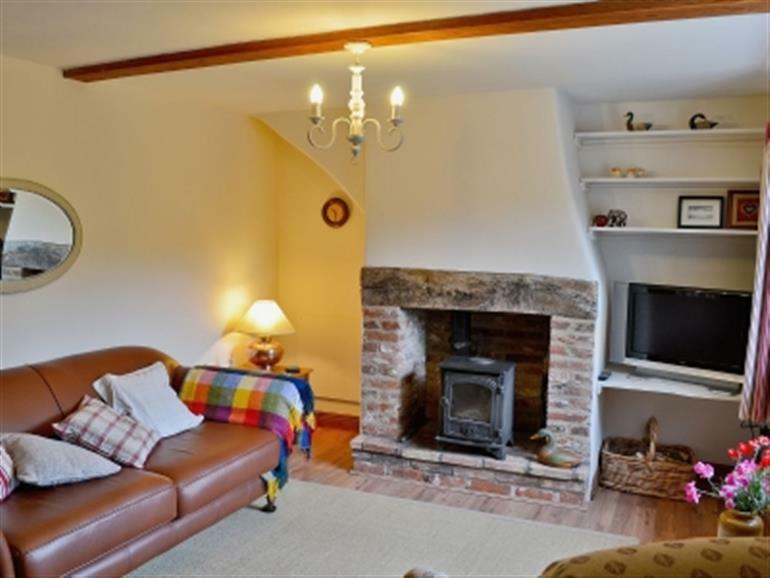 Briar Cottage in Ingham Corner, near North Walsham sleeps 4 people. 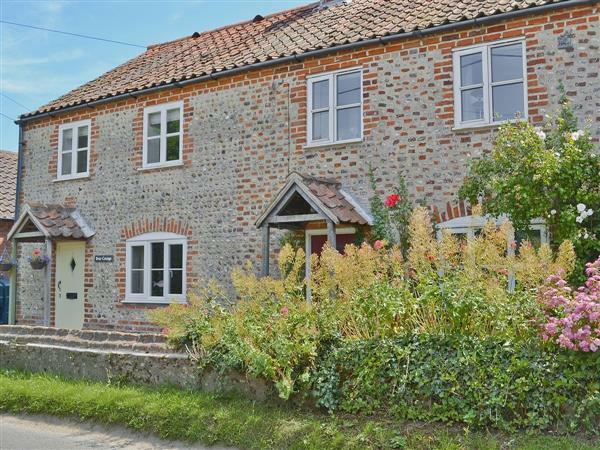 Briar Cottage near North Walsham is a Norfolk flint end terrace holiday cottage, full of charm and character, and is in an ideal location for exploring the coast or the Broads. Briar Cottage near North Walsham is just over 2 miles from Sea Palling and Eccles, which are fine examples of unspoilt beaches and natural beauty. Visit the colony of Grey Seals that can be found at Horsey Gap beach, between the months of December and January, where you can see the grey seal pups in their hundreds. Hire a day boat from Stalham and explore the beauty of the Norfolk Broads with its wonderful wildlife. Hickling Broad is close by, which is one of the largest expanses of water in East Anglia, here you can go windsurfing or sailing. For children, there is BeWILDerwood at Horning, an outdoor adventure park packed with fun. The gardens at East Ruston Old Vicarage, 32 acres of gardens, are well worth a visit. Walking, bird watching, cycling, sailing, windsurfing and fishing all available locally. Alternatively, visit the fine city of Norwich with its cathedrals, theatres, museums, array of shops and cafes. Norfolk National Trust properties worth visiting are Blickling Hall and Felbrigg Hall. The beach is 2¼ miles from Briar Cottage, with the shop being 2 miles, and the pub and restaurant 1 mile. Ground floor: Living room with wooden floor. Conservatory with dining area. Kitchen with tiled floor. First floor: 2 bedrooms: 1 double (5ft), 1 twin. Bathroom with shower attachment and toilet. Wood burner in living room (no fuel provided). Electric heaters, electricity, bed linen and towels included. Freeview TV. DVD. Electric cooker. Microwave. Washing machine. Dishwasher. Fridge/freezer. Wi-Fi. Enclosed lawned garden with sitting-out area and furniture. Parking (2 cars). Cycle store. No smoking. Holidays at Briar Cottage near North Walsham run from Holidays run from Friday to Friday. For a better idea of where Briar Cottage is, you can see Briar Cottage on the map below. Briar Cottage is in Norfolk; should you be on the lookout for a special offer, you can find all the special offers in Norfolk. It's always worth checking to see what is on offer at the moment. Do you want to holiday near Briar Cottage (30177), you can see other cottages within 25 miles of Briar Cottage; have a look to find your perfect holiday location.